The company was bought in 1951 by A. R. Brenholts Sr.By 1953, Stitt was supplying it’s multiple electrode, long life spark plug to stationary gas engine manufacturers for original equipment installation. 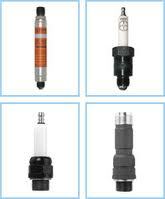 Stitt found itself in a world wide market for specialized spark plugs designed for use mostly in large stationary industrial engines fueled by natural gas.Stitt moved to Texas from Ohio in 1971 because a major part of the company’s business already existed in Texas where the big gas engines were used widely in production and transmission of oil and natural gas. Stitt management began working with the major heavy-duty diesel engine manufacturers in Europe, in programs to convert some of their products to spark-ignited gas engines as pipelines made natural gas more available.The successes of those programs resulted in Stitt supplying its specialized spark plugs as original equipment to major manufacturers of gas engines. 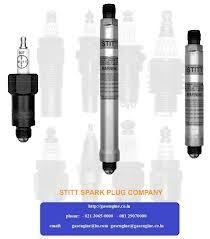 Today’s Stitt Spark Plug Company is one of the oldest continuously active spark plug manufacturers in the world and continues to improve its product line with innovative technologies.